More than 50 teams play pétanque in Rutland every Tuesday evening in the spring and summer. The league comprises 6 divisions of between 8 and 10 teams in each: 3 local divisions (North, Central and South), Division 2, Division 1 and a Premier Division. There are four pétanque teams in Whissendine. All teams are based at the While Lion Inn. Teams play home or away fixures on a Tuesday evening from 7.30pm to about 9.30pm. Those interested to join should contact the team coordinators below. 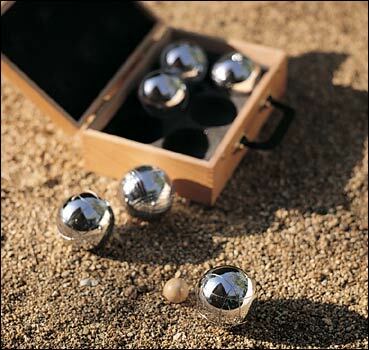 For more information about the Rutland Pétanque League, click here. Location: White Lion Inn, Main Street, Whissendine.